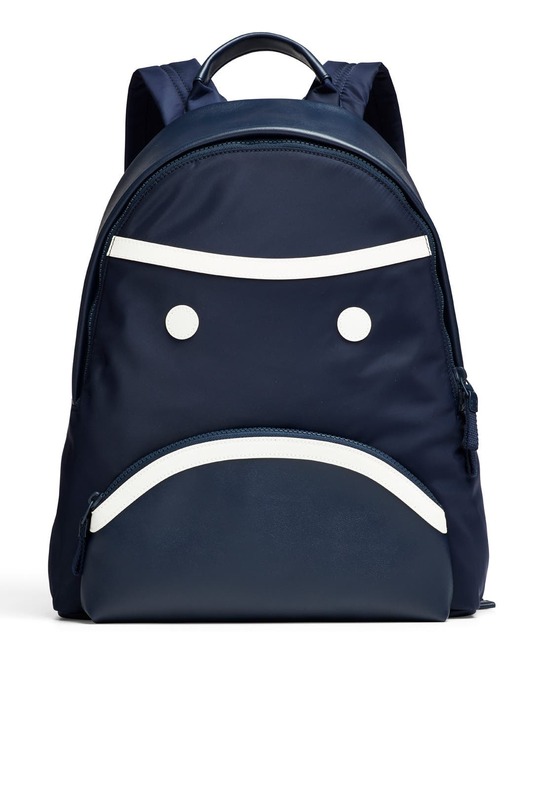 Grumpy yet charming, this sleek Tory Sport backpack adds humor to your hikes, hangouts or what have you. 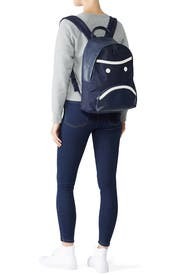 Navy nylon large backpack with reflective "little grumps" graphic. 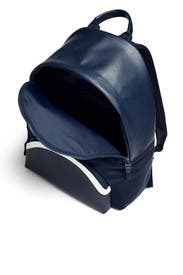 Top zipper closure, front zip pocke, top handle, and adjustable padded shoulder straps. Interior padded sleeve with snap closure holds 15" laptop or tablet. 15.6" H x 12.6"L x 5.3"D.
I'm obsessed with this bag! I may need to keep grumps with me for a while. He's the perfect size for a day trip. 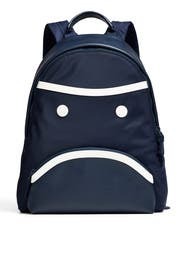 I also took him with me to Costa Rica as a stylish day bag and it was great. Perfect size for my laptop and the inside pockets are great for organizing smaller items. I love the little face! Literally the cutest thing ever. MONDAYS!